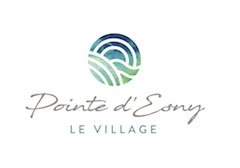 Who is the promoter of Pointe d'Esny Le Village? Who is the promoter of Pointe d’Esny Le Village? Home/Who is the promoter of Pointe d’Esny Le Village? Compagnie de Beau Vallon Limitée (CBVL) is known as a reputable property developer with a dozen residential projects successfully completed since 2003, located in Mahebourg, Beau Vallon and Pointe d’Esny. The origins of Compagnie de Beau Vallon Limitée are grounded in the history of sugar cane cultivation and milling in Mauritius. Drawing on an agricultural heritage dating back to the first half of the 19th centuryCBVL was incorporated in 1921 and currently owns Riche-en-Eau, one of the largest sugar estates on the island with 3,500 hectares of land stretching from the south-east coast to Midlands. CBVL is poised to continue this legacy while improving its resilience to a changing market place through diversification into key sectors such as non-sugar, agriculture, hospitality and property.